I am the developer of a series of scripts ( profiles ) and CLUTS for use in RawTherapee, I named PictureFX. PictureFX CLUTS helps to create personalized and artistic effects. 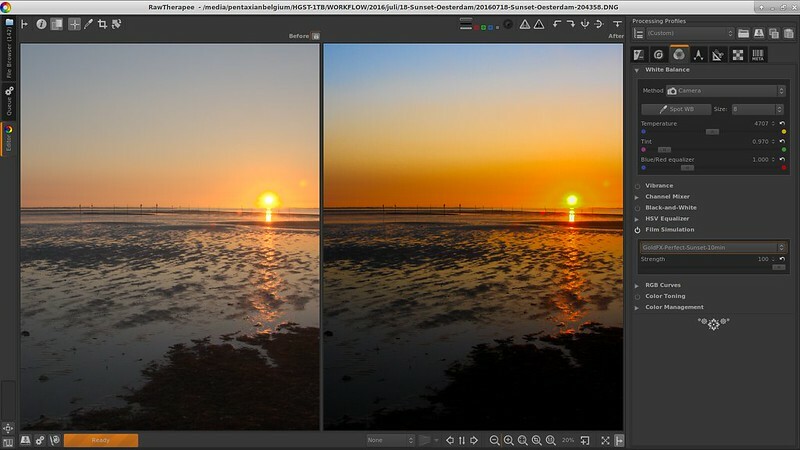 PictureFX Profiles are for sharpening, denoising and other development actions in RawTherapee. and in the Free Online Film Emulator made by Jonas Wagner. the first filter I made for it is a backlight filter. It tries to improve the image and lightens the forground. The AnalogFX folder contains five new CLUTS, two to get an old style picture, and three new sepia color tinted. and three CLUTS to improve your sunsets in the GoldFX folder. the minutes are a representation of the time that goes by as the sunset evolves to a darker but more colorful state. but that is also with other effect tools like Photoshop Adobe presets or NIK software. up to psychedelic levels, for you to adjust and fine tune to your taste. Download PictureFX v2.0 here, or go to download folder. Best is to use RAW or other lossless format like TIFF. -> a certain effect ( profile or HaldCLUT ) can give a very different result on a neutral or adjusted picture, best is to try out. When prefered profile/HaldCLUT is found, lock it on left pannel, and fine tune right side. unzip the compressed folder and copy the files to their apropriate folder in RawTherapee. Restart RawTherapee – or just start it when it was clossed – and the folders should turn up in the Processing Profiles and/or Film Simulation menu. This is pretty much the same as for Windows, certainly for HaldCUTS because this folder is set in preferences in RT. and because its not located in the home folder, you need special privileges to copy files into it. with the “load a profile from file” button in RT – safe and easy.